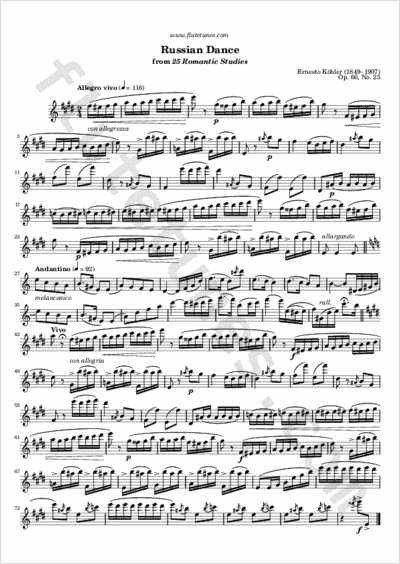 This is the last étude from Ernesto Köhler's 25 Romantic Studies, Op. 66. It consists of a lively “Allegro vivo” in E major and a melancholic Andantino in A minor.